Hovering somewhere between the bust-length format of portraiture and the emphasis on unidentifiable yet seemingly narrative character heads, young or old, dressed in picturesque or exotic costume (turbans, armor), the pictorial category of tronie seems to fall between stools. Rarely is it clear whether any live model sat for such a picture, though certain favored faces often reappear in the works by a single artist. Often such works are painted with a sketchy, broad brushwork and present informal poses in isolation, many with averted gazes. The tronie was a favorite form for small-scale study heads by Rembrandt, especially in his formative years, and it is towards Rembrandt that this new study climaxes. Based on her Berlin dissertation, Franziska Gottwald seeks out the prehistory of the tronie before Rembrandt, then she dedicates a long, concluding chapter to Leiden works produced by Jan Lievens and Rembrandt. Gottwald certainly is not the first to address this important art form: recently a number of studies, including an article on Rembrandt's use of the form and a book were produced by Dagmar Hirschfelder. 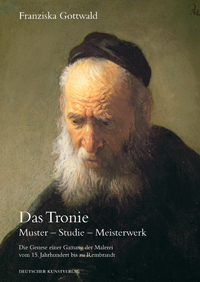 But Hirschfelder attends almost exclusively to the 17th-century tronie in Holland, to the neglect of the broad base of this form in the studio practices of both Renaissance Italy and those Italian-oriented painters of Antwerp, Frans Floris and Peter Paul Rubens (though a couple of tronies by Pieter Bruegel fail to appear for discussion). Not all workshops operated with identical, predictably academic production processes. Nor can we determine clearly whether any painting in question was sold or kept. One also wonders about the designation of Fragonard's later portraits de fantaisie, which have never been considered in relation to tronies. Unlike Hirschfelder, or perhaps because that book has already been written, Gottwald stops her analysis at Rembrandt. In her brief second chapter, Gottwald helpfully inspects Netherlandish theory by van Mander (1604) and Junius (1637) to note that the affetti, so prized in body gestures of Italian Renaissance art, were meant to be conveyed in Northern imagery more through facial expression. She finds the origins of tronies in Chapter Three in the heritage of the modelbook distillation of heads out of religious narratives, translated into the cartone of standardized and replicable individual heads in the Italian painting workshop. This survey is continued in her fourth chapter by necessary discussion of "individual and idealized" painted heads - on panel - by Floris and (less idealized, for Counter Reformation holy figures) by Rubens, completing the antecedents of tronies neglected by Hirschfelder. This material, especially Floris, has largely been neglected by current scholarship, even in the recent London exhibition , so it comes as a welcome, serious analysis, in part for demonstrating the links to Italy for these heads but, more importantly, for demonstrating the links between them, from Floris to Rubens (though she also emphasizes the influence of Italy, including Caravaggio). Rembrandt often signed his heads, showing that he considered them finished for market purposes, which thus becomes another defining criterion (Chapter V.9) of the Dutch tronie. Thus Gottwald removes the Rembrandt heads of Christ from her category. Yet she also concedes that they can still function as "master models" for use in religious paintings, like the precedent of Rubens, so important for the young Rembrandt. Already early in his career these character-laden heads became a signature element of Rembrandt's artistic identity, one that continued to the very end, in what Arthur Wheelock teasingly called his "late religious portraits". But Gottwald's definition, like the heads of Christ, makes those late images problematic as proper tronies, so they lie outside the scope of this book. Yet she hypothesizes nevertheless that tronies (especially in Leiden) could suggest religious content while remaining "picturesque", without having determined identities, during an era of confessional controversies. Here it seems as if she tries to have her definitional boundaries without surrendering the flexibility of this very engaging, if elusive and seemingly durable, pictorial category. Training piece and sales product: on the functions of the tronie in Rembrandt's workshop, in: M. Roscam Abbing (ed. ): Rembrandt / Leiden 2006, Bd. 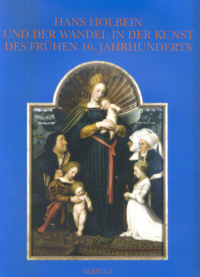 1 (Essays), 112-133; Tronie und Porträt in der niederländischen Malerei des 17. Jahrhunderts, Berlin 2008. Lloyd Dewitt (ed. ): Rembrandt and the Face of Jesus (Ausst. Kat. Philadelphia Museum of Art), New Haven 2001, 147-59. 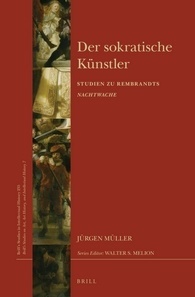 Kurt Bauch: Der frühe Rembrandt und seine Zeit: Studien zur geschichtlichen Bedeutung seines Frühstils, Berlin 1960, quoted approvingly by Gottwald, 17. Ernst van de Wetering, in: Patricia Bascom (ed. ): Rembrandt by Himself (Ausst. Kat. Glasgow Museums & Art Galleries), Glasgow 1999, 8-37. Mary Sherriff: Fragonard. Art and Eroticism, Chicago 1990, 153-84. Rubens. A Master in the Making (Ausst. Kat. London, National Gallery), London 2005. Quoted in Seymour Slive: Rembrandt and his Critics, The Hague 1953, 9-19, insb. 15-16. 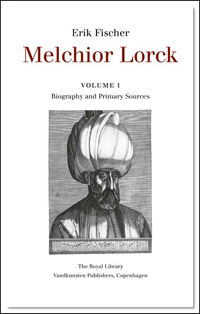 Arthur Wheelock, jr.: Rembrandt's Late Religious Portaits (Ausst. Kat. Washington, National Gallery), 2005.